Quick release aluminium 61cm (24”) wheels with hand rim and grey puncture proof tyres. Weighs only 12.9kg in total. Desk style armrests with fabric side panels. 51cm (20") seat width with a nylon seat & back canvas. 20cm (8”) puncture proof front tyres. Quick release, swing away, height adjustable footrests. Folds up easily for storage and transportation. 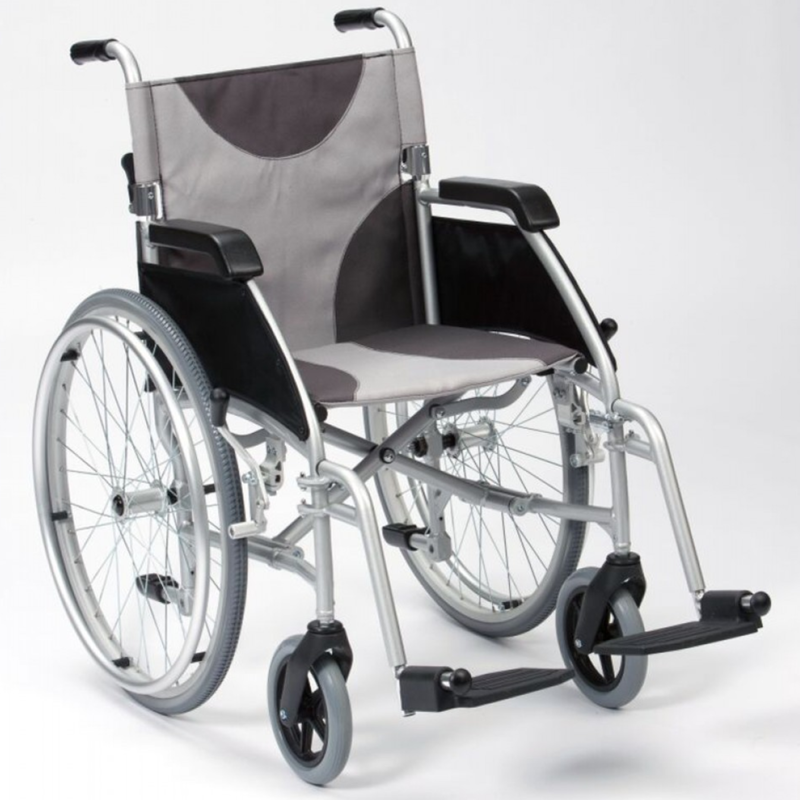 Buy a Super Lightweight Folding Electric Wheelchair in Perth. Childs type aluminum lightweight frame with soft seat. Rollator and transport chair in one. Hands-free to get on with your life. A popular option for foot and ankle injuries. The Ultra Lightweight Aluminium is smooth and comfortable. Fully reclining, with head support. Detachable armrest. STEEL Elevating Leg support, 56cm seat width. Suit 125kg user. Light weight and stylish. Just 7.5kg and super compact. 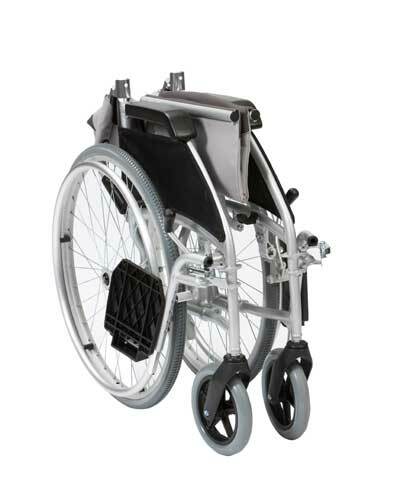 Our wheelchairs come with a 12 month Factory Warranty. You also have 10 Days from receiving your wheelchair for a refund of the purchase price.